The Chartered Society of Designers (CSD) is the professional body for designers and the authority on professional design practice. It is the world’s largest chartered body of professional designers with members in 33 countries and is unique in representing designers in all disciplines. 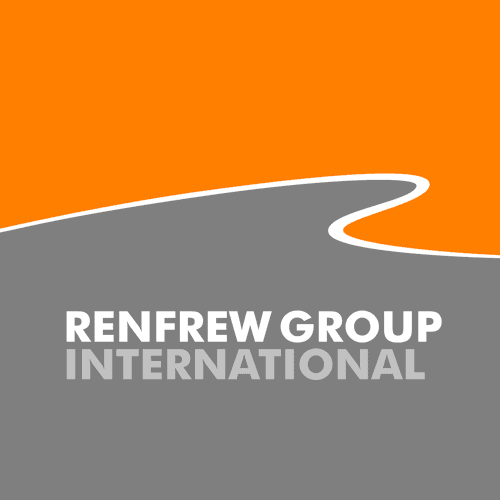 Renfrew Group International has embraced the activities of the Society for many years during which it has contributed to as well as benefitted from a raft of interesting liaisons and exciting opportunities, including most recently the event at Buckingham Palace which took place on the 12th May 2015 during the first of the seasons’ Garden Parties. Bruce Renfrew, Creative Director of Renfrew Group International and a Fellow of the Society, was invited to attend the Garden Party at the Palace yesterday and was honoured to have been presented to the Patron of the society HRH Prince Philip, The Duke of Edinburgh. Bruce chatted with The Prince for a short while about the nature of design and very much enjoyed the experience. The party was of course hosted by the Queen, with the Prince of Wales and the Duchess of Cornwall also in attendance. The sun shone as around 8,000 people dressed in their finery poured into the grounds of the Palace to enjoy the afternoon party. With tea, cakes and a beautiful garden to stroll in, garden parties are among the most relaxed and informal Royal events. Garden parties have been held at Buckingham Palace since the 1860s, when Queen Victoria instituted what were known as ‘breakfasts’ (though they took place in the afternoon). In the 1950s the number of garden parties held at Buckingham Palace was increased from two to three a year. They took the place of presentation parties attended by debutantes, but have evolved into a way of rewarding and recognising public service.